Norway’s state police unit Kripos announced the arrests on Friday of nine people and the seizure of as much as 700 kilos of cannabis. Criminal gangs in Oslo have been tied to the smuggling network that brought the illegal cannabis into the country. Kripos chief Ketil Haukaas said at a press conference Friday morning that a major investigation over the past two weeks, dubbed “Operation Hubris,” led to the seizures at various locations around southeastern Norway. “There’s no doubt this is a very large narcotics case,” Haukaas said. Among the nine people arrested are two Danish citizens. News bureau NTB reported that three people were arrested last week by the Innlandet police district, which covers areas northeast of Oslo. Two others were arrested in Oslo and ordered held in custody on Thursday by the Oslo City Court (Oslo tingrett). Four others arrested earlier faced custody hearings on Friday. “The narcotics are coming from abroad and there are professional, organized criminals following the narcotics in to Norway,” Haukaas said. The three men arrested by the Innlandet police district have been tied to a large cannabis seizure carried out by police in Elverum just before the Midsummer holiday last weekend. Eivind Borge, leader of the investigation, said police have concentrated on what he called the “reception apparatus here in Norway,” but also were following “all trails” from abroad. Police suspect the smuggling has gone on over a long period of time and is connected to gangs in Oslo, which recently have reappeared as a source of crime, violence and conflict in the Norwegian capital. “We see that revenues from the narcotics are very central in the gangs, so going after their source of income is extremely important in cutting off this development we have seen in eastern Oslo and in other gang circles in Norway,” Borge said. 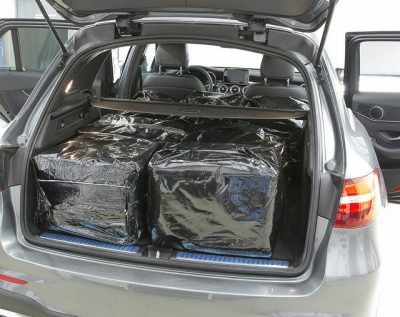 The two Danes are charged with import of more than 100 kilos of hash to Norway. Both have denied guilt but were ordered held in custody in full isolation for at least two week, while police continue their investigation. Newspaper VG reported that the two men, one in his 50s and the other in his late 60s, have police records in Denmark, with the older man convicted of having organized the smuggling of nearly six tons of hash from Morocco to Denmark in the 1990s. The other man has an earlier conviction for smuggling 700 kilos of hash from the Netherlands to Denmark.